In addition to the books we already have in our collection, we checked out over 20 more books about rocks to go along with our R is for Rocks theme. We do a lot of reading to go along with our themes, and I like to have a good amount of books in bins around for kids to look at. Remember that books don’t just have to be in your library area. Add some rock books to an art table with loose parts and rocks, so kids can use the images as inspiration for creating their own designs. 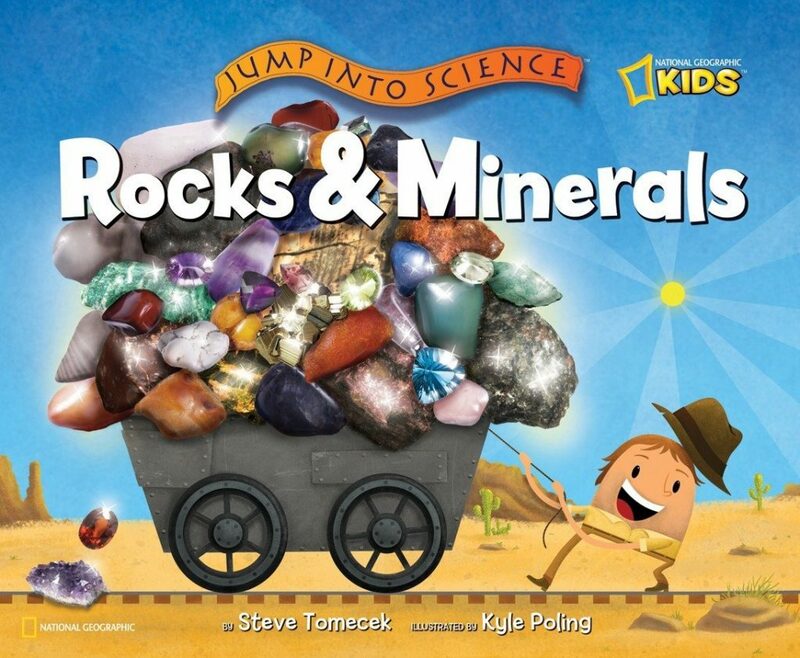 Set out some nonfiction books with a hand lens and a variety of rocks for kids to use at a science investigation table. 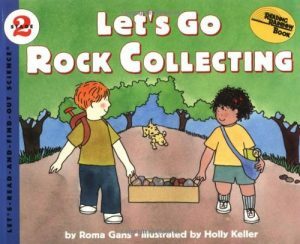 There were a few rock books that really stood out and grabbed the attention of my preschoolers. I’m including them in this list. At the end of the post you’ll also find a free printable book list that you can use to easily gather the books for your rock theme. 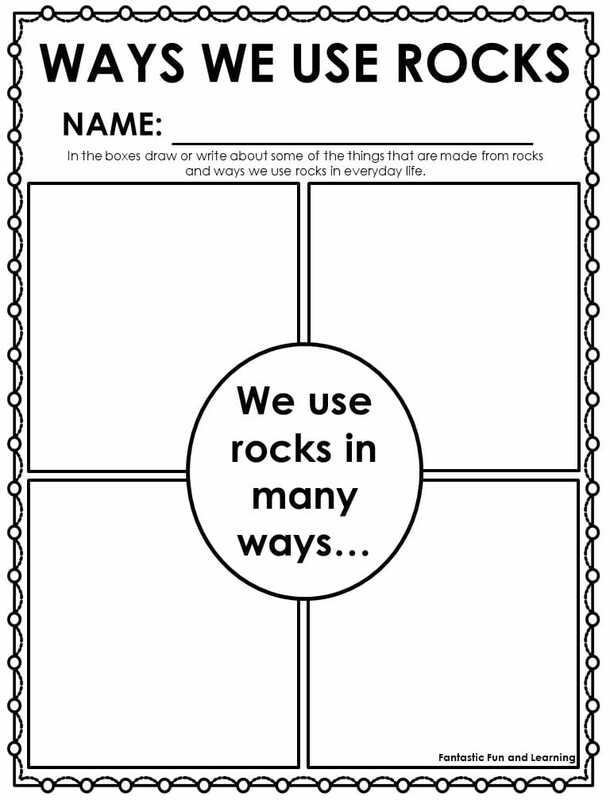 Inside the freebie there is also a nonfiction writing activity that kids can do after learning a bit more about rocks. and, finally, a bit about rock collecting. 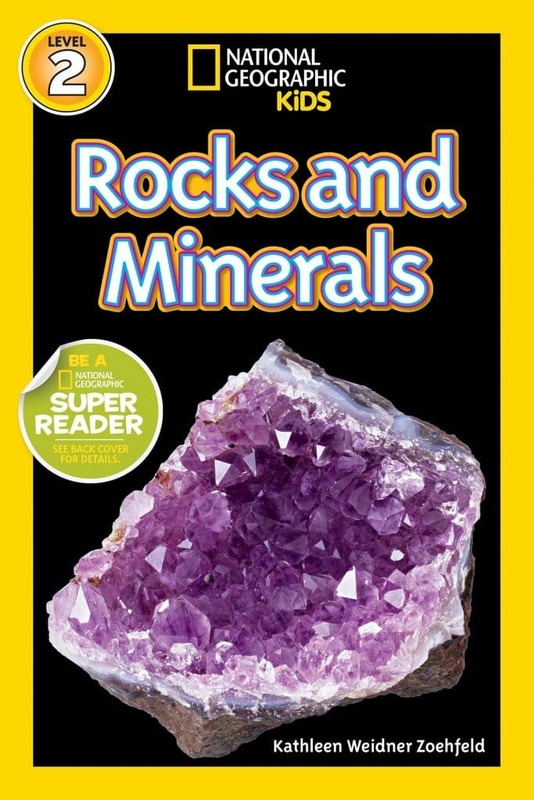 The vivid images and easy to follow text in this easy reader make it excellent to use as a read aloud for enthusiastic junior geologists interested in learning more about rocks and minerals. Steve Tomecek is a geologist. In Rocks and Minerals he combines a bit of humor with a ton of clearly defined facts. Kids especially love learning about the different ways we use rocks and minerals. If You Find a Rock tells about discovering different kinds of rocks but the classifications are different from the norm. Along the way kids are introduced to a chalk rock, a wishing rock, sifting rocks, a worry rock, a hiding rock, and more. Reading the book on its own may be a little abstract for younger preschoolers, but if you have a collection of rocks for them to hold and discuss then the book becomes a wonderful tool for learning and conversation. This is a great book to read before heading out on a nature walk. Since reading it my oldest daughter continually tells me what kind of rocks she is finding when we are out and about. Roxaboxen is a personal favorite of mine. It tells of a special place across the road from a child’s home. It is a sand lot with old rocks and boxes , but over the years it becomes a cherished play space for the local kids. This is based on a true story. And it is a wonderful story that reminds me of the magic of childhood. We made the story come alive by collecting some small boxes, stones, marbles, and small Playmobil and Lego people. Then the kids had fun creating their own “Roxaboxen” in our sand box. In Milo and the Magical Stones the main character lives on an island in the middle of the sea. There he discovers a magic, glowing stone. After making this discovery the reader gets to decide how the rest of the story goes as the story splits in two sections (pages are split into a top half and a bottom half). We read both versions to see how the choices the mice make impact everyone. Then the kids talked about which version they liked and why. We also talked about what lessons can be learned from the story. Older kids could also write their own endings to the story. The main character in Everybody Needs a Rock shares ten very specific rules for finding a rock, not just any rock but that one special rock. This is a fun story to read before going out rock collecting. Scavenger Scout is a mix of reality with a giant dose of fantasy. 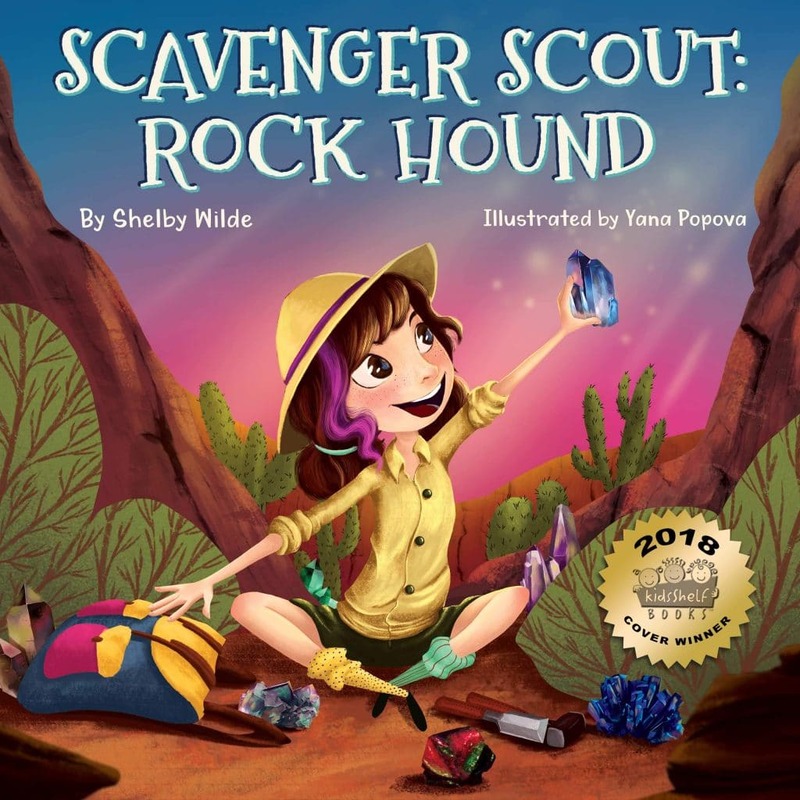 As seven year old rock collector, Scavenger Scout, journeys to far off destinations to find rocks to add to her collection, kids will enjoy the I Spy like format and find a new rock on each page. 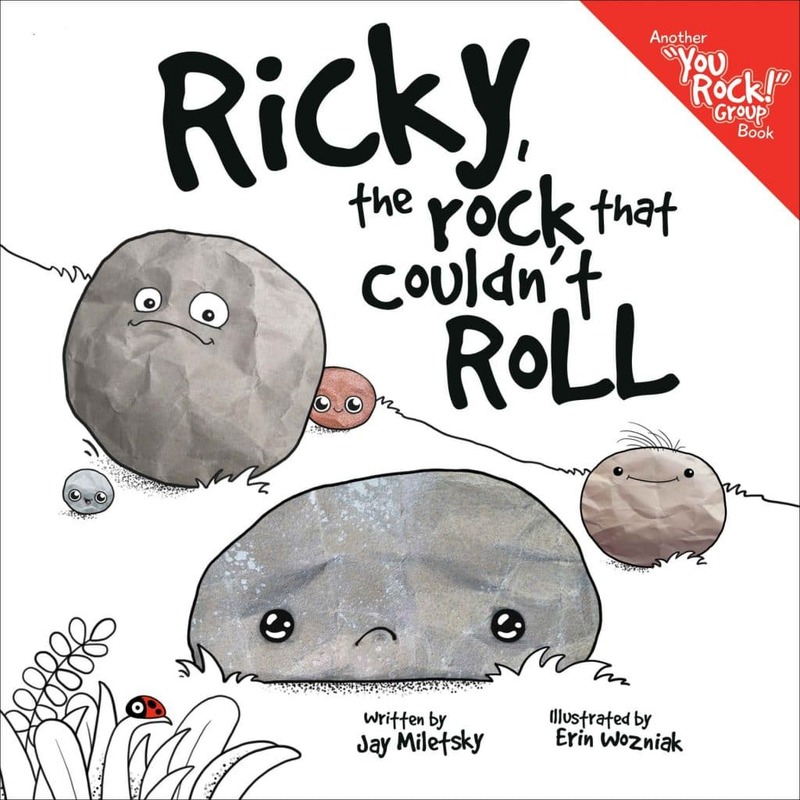 This delightful story is a wonderful way address compassion, friendship, and inclusive behavior during your rock theme. Ricky can’t roll the the rest of his rock friends, but with a little creative thinking his friends join together to help him. The story also give teachers the opportunity to discuss determination and perseverance. Rocks in His Head is a story about sticking to your passions more than it is a story about rocks. Young kids connect with the rock collectors enthusiasm and will benefit from this reminder to followe their hearts. 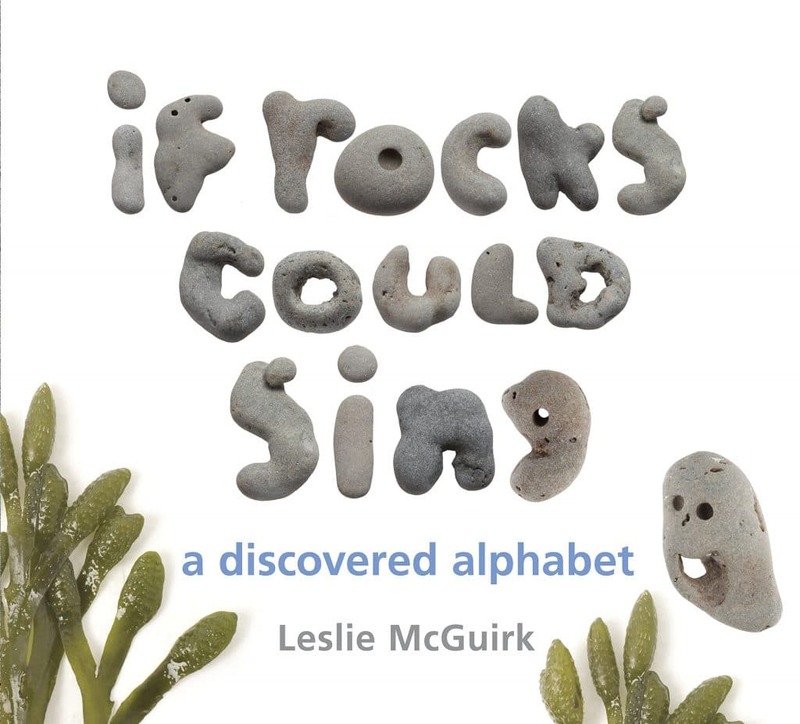 This discovered alphabet book includes pictures made with rocks found near the author’s home. Read it first as part of literacy time. Then place the book out in your loose parts play center or art area with rocks so kids can be inspired to create their own rock pictures. While out on a long hike Rhoda can’t resist collecting rock and rock. As she does she places them in her hiking pack, making it heavier and heavier. 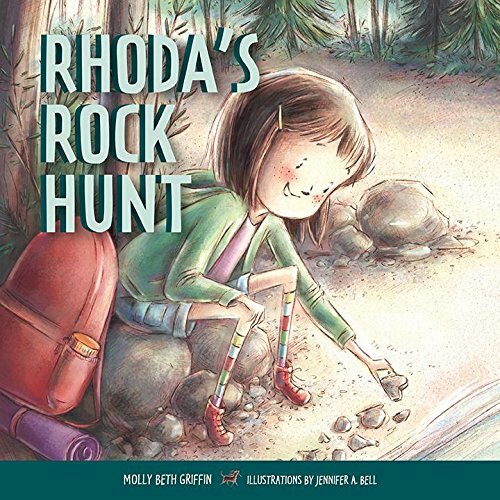 On the last day of the hike they arrive on a beach covered with even more rocks, and Rhoda has to decide what to do with all of her rock treasures. With rhyming text the author introduces kids to many things a rock can be. The beautiful illustrations and use of synonyms and adjectives inspire a lot of rich conversations that will help strengthen oral vocabulary. 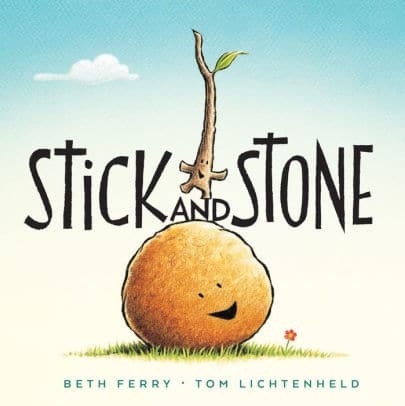 Stick and Stone is another read aloud that helps tie in discussions about what it means to be a good friend and inclusivity. Simple rhyming texts also allows you to incoprorate phonemic awareness and rhyming during your circle time discussions. Any child who has been begging for a pet will be able to relate to this story. 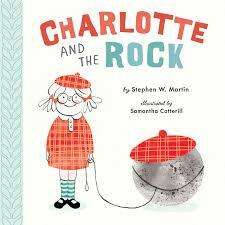 On her birthday instead of a cat or dog, Charlotte’s parents give her a pet rock, but that doesn’t keep Charlotte from embracing her new pet. Kids appreciate the silliness of the book and also get the chance to talk about making the best of a situation. They also delight in the surprise at the end. 1) You have a preschooler who is particularly intrigued by rocks and wants to know more. 2) You are teaching kids of different ages and want to study the same theme at the same time. 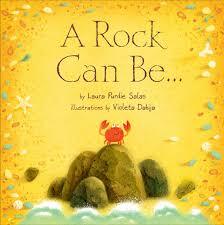 Do you know of any books about rocks that would be great for preschoolers? 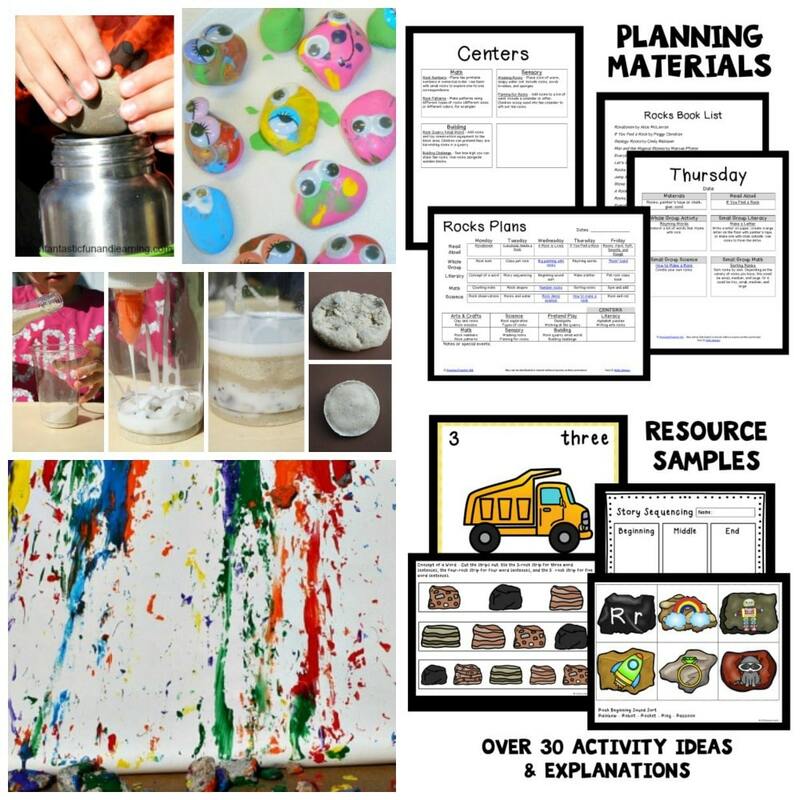 You can find more activities and ideas for teaching kids about rocks on my Pinterest boards. 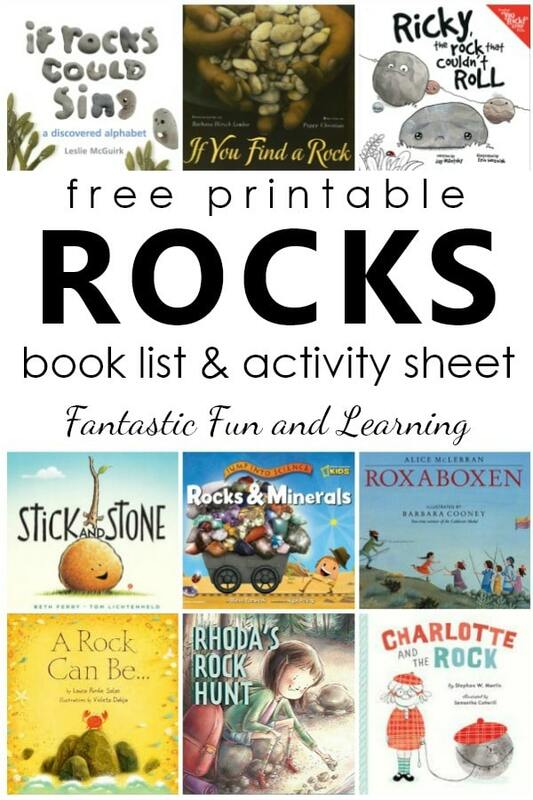 Click the pink button below to get a free printable copy of the titles referenced in this book list and the Way We Use Rocks Response Sheet. Use the Rocks Book List as you gather your books, and use the writing activity with preschoolers and kindergarteners after you’ve read some of the book suggestions. 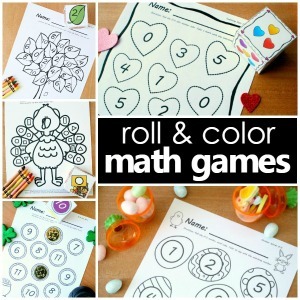 Get a full week of playful rock theme ideas! 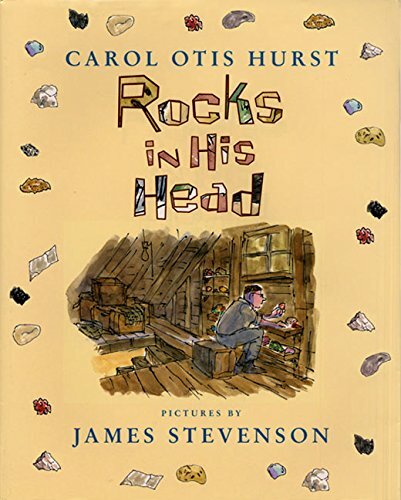 We love Rocks in His Head by Carol Otis Hearst. It’s a beautiful book that includes a whole lot more than rocks. My geologist dad bought it for my son when he was probably about 4. He’s 9 now and still asks to have it read to him sometimes. Any book that still gets requested after so long has to be a keeper! I’ll have to find that one. Thanks so much, Krista! My 6 year old son has been collecting rocks for years! He gives them to me like they are flowers, and I now have a huge rock jar where I keep all the rocks that he has given to me. What a sweet boy, and I love that you’ve kept them. I hope you two enjoy reading some of these books together. What a fun subject for a list. 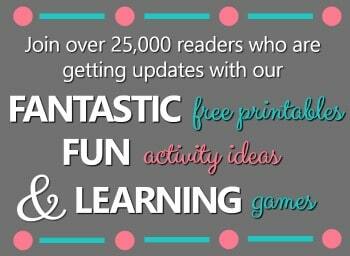 Thanks for linking up to The Children’s Bookshelf! Thanks! We really enjoyed our rock theme. Oh my gosh! Silly me, I just noticed your other rock post with tons of great rock activity ideas. Love it! I agree, Jeanette. Kids just love rocks! Glad you found the other post, too. I bet you could still come up with some awesome rock art projects. Let me know if you do decide to do that post. In the meantime, come back throughout the month to see the other fun activities we did with rocks. I had no idea there were so many books about rocks! I just really love this whole theme- rocks are one of those weird, completely compelling things for kids. I can’t think of any more rock books, but there are really fun rock art projects, like chalking, painting, drawing on them with inks. This sounds like a fun post for me to work on- I’ll link back to this post!